Training: Rossendale Dance and Drama Centre (RDDC). Theatre: Henry makes his professional debut in Billy Elliot the Musical. Previous stage credits include ‘Doll Soldier’ in the English Youth Ballet’s Coppelia (Plaza Theatre Stockport, 2014); ‘Guest Student’ in Angelina Ballerina, The Mousical (Palace Theatre Manchester, 2012). TV: Johnny and Inel sketch, Balloon Boy (CBBC, 2012), Weetabix commercial, Siblings (2013). Other: Henry’s love is dancing and the dramatic arts in which he competes and performs regularly. He is also a keen swimmer. 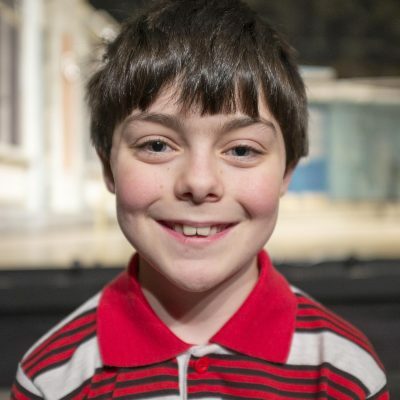 Henry is very excited and honoured to be part of the cast, and would like to thank everyone involved on the Billy Elliot team. He would also like to thank everyone associated with RDDC for their support. Henry’s performances are dedicated to all his family and friends.